A one-day workshop on FDI in Retail sector, one of the sizzling topics today was organized by B. P. College of Business Administration for the students of Semester I, IV and VI on 26th December, 2011 from 1:00 pm onwards. The workshop was organized with the objective of imparting them with the knowledge about the topic and its current position and Mr. Hardik Parikh one of the featured speakers and an expert of the field shared his knowledge with the students. The workshop, as per tradition, began with the prayer, followed by the welcome address and the Introduction of the speaker. The stage was thereafter taken over by Mr. Parikh for his valued knowledge sharing workshop. SANGAT – 2011, the 3rd grand Youth Festival of Kadi Sarva Vishwavidyalaya was organized this year wherein the students of all the departments of the university participated wholeheartedly with zeal and enthusiasm. 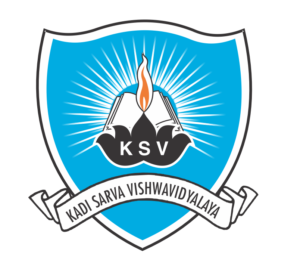 SANGAT is the platform provided to the students of Kadi Sarva Vishwavidyalaya to exhibit their extraordinary talent by participating in a range of events viz. 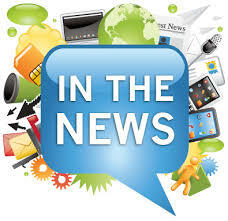 Musical, Dance, Literary, Theatre and Fine Arts Events. This year the overall organization was done by the Education Department of the university and as per pattern all the events were distributed among different departments of the university. Management department (BBA & MBA) was given the opportunity to organize Literary events that comprise of Quiz, Elocution, Extempore, Debate, Poetry Completion and Poetry Recitation. The events were distributed further among BBA and MBA departments of which BBA team organized Extempore, Poetry Completion and Poetry Recitation successfully, and were coordinated by Prof. Jyoti Nehra and Prof. Nilam Prajapati. Aaina celebrated its splendid decadal legacy by having participation of total 287 students of higher secondary schools and colleges from all across Gujarat. There was a bouquet of academic and cultural events like Rangoli, Mehandi, Elocution, Extempore, General Knowledge Quiz, Ad-Mad Show, Anchoring, Antakshari, Poster Making, Best from Waste etc. Around 5000 people having different profile from different places visited and appreciated the event at the fullest. Specially faculties from different institutes favored it and commented positively. Students of various institutes also demanded more events and other programs which can enhance and shape their talents of diverse genres. All to say, 9th and 10th December, 2011 were the days of experiences and enlightenment which will remain intact in every heart forever. A grand Academic Event, MAGNET (Management Across Globe NecessarilyExhibits Talent) – A Management Exhibition, was organized successfully at B. P. College of Business Administration, Gandhinagar for the 2nd successive year on 9th and 10th of December this year. This was the second MAGNET at the institute wherein the students from BBA colleges across Gujarat were invited as contestants and were provided with a platform to exhibit their conceptual management knowledge and theories through paradigm. The exhibition was powered by 25 groups of management students covering all the major areas of Business Administration ranging from H.R., Finance, Marketing, General Economics & Operations Management. The event received an overwhelming response from all the participating colleges and visitors from various places. We organize sports events like chess, carom, Table-Tennis, Cricket, Volleyball, etc. and encourage our students to participate actively. We ensure that physical campus interviews for the students who wish to join industry after their graduation.